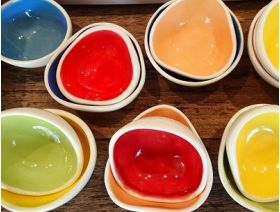 Small ceramic bowls by Sunshine Coast maker Wendy Britton. Perfect for olives, dips, jewellery or decoration. External surface is white with a choice of internal colours. Food safe.